Coffee Stain Studios has announced that Goat Simulator: The GOATY is now available on Nintendo Switch, letting you live out your dreams of being a goat. The news was shared as a surprise in today’s Indie Highlights presentation, which sees the indie phenomenon – that was first released for PC in 2014 – come to the portable home console. Beat people up and take their money – use your goat crew to smash & grab, then blast away all your money at Mahatma Gambling, the Indian casino – just like in that Al Cappuccino movie. 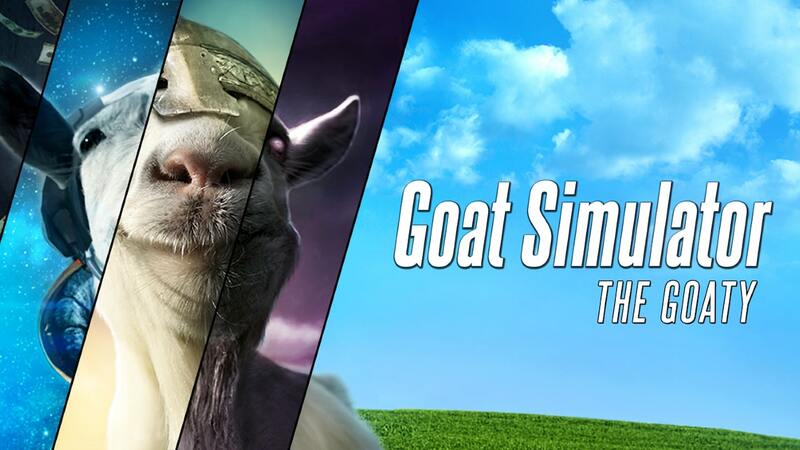 Goat Simulator: The GOATY is now available on the Nintendo eShop for Nintendo Switch worldwide priced at £26.99 ($29.99).